This travel friendly facial mist is cooling, calming and comforting. 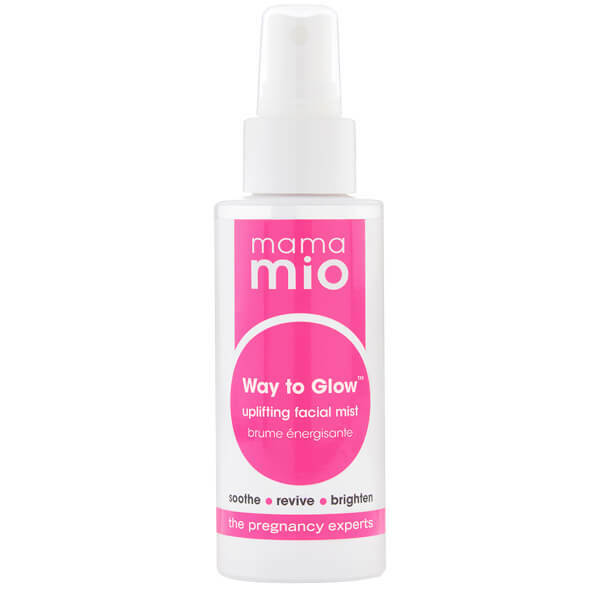 This facial mist is infused with our uplifting gravida scent and endorphin releasing actives to keep you cool, calm and collected throughout your pregnancy. It moisturises, balances and brightens hormonal skin. Botanical infusions calm, nourish and brighten. Anti-inflammatory actives work to decrease feeling of irritation. Moisturises under, or over make-up. Aloe Barbadensis Leaf Juice - soothing, cooling and moistening that helps to clear inflammatory and irritating heat. Fermented Bamboo Leaf Extract - high in natural silica for healthy barrier protection, for radiant, glowing skin. Hibiscus Flower Extract - a firming agent that also calms and smooths skin, increasing moisture and suppleness. Sericin (silk protein) - helps to protect against external irritants and offers a Natural Moisturising Factor (NMF) similar to that found naturally occurring in human skin. Persian Silk Tree Extract - the precious silk flower helps to brighten fatigued looking skin by de-toxifiction. ‘Happy Skin’ Active - botanical in nature, this is thought to help with releasing endorphins, known for their ‘happy wellbeing’ effect on mood. Perfect for those days when you need a little pick-me-up. Hyaluronic Acid - this little molecule can hold up to 1000 times its own weight in water, for plump, hydrated skin. Gravida - a blend of 10 pregnancy-safe, pregnancy-specific natural oils. Our fragrance smells gorgeous to even the most sensitive of noses. Close your eyes, and spray on any time of the day, for an immediate refreshing, energising sensation. Hold the mist 8-10 inches away from the face and spritz one to two times, for an uplifting boost of dewy hydration. Aloe Barbadensis (Aloe Vera) Leaf Juice, Aqua (Water), Propanediol, Polyglyceryl-4 Laurate/Sebacate, Polyglyceryl-6 Caprylate/Caprate, Tetrahexyldecyl Ascorbate, Tocopheryl Acetate (Vitamin E), Sericin, Parfum (Fragrance), Glycerin, Albizia Julibrissin (Persian Silk Tree) Bark Extract, Darutoside, Phyllostachis Bambusoides (Bamboo) Leaf Extract, Potassium Sorbate, Sodium Benzoate, Citric Acid, Scutellaria Alpina (Alpine Skullcap) Flower/ Leaf/Stem Extract, Hibiscus Sabdariffa (Hibiscus) Flower Extract, Sodium Hyaluronate, Sodium Hydroxide, Dehydroacetic Acid, Benzyl Alcohol, Benzyl Benzoate, Limonene, Linalool, Citral, Citronellol, Evernia Furfuracea (Treemoss) Extract.